Why is the police and EFCC suddenly acting like they are an extension of the ruling APC and the Presidency? Institutions are expected to be neutral. 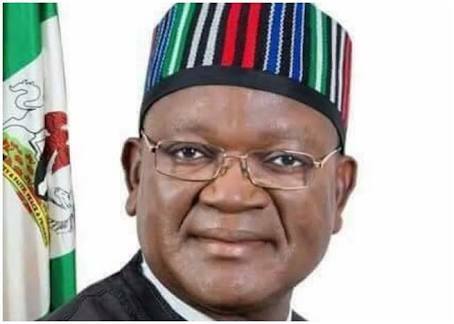 About a week after he left the APC, the EFCC is now investigating Benue State Governor Samuel Ortom and many members of the House of Assembly for alleged diversion of N23,088,586,206. But the governor has said that he had no fear over the probe. The Nation reports that about N22,713,586,206 was withdrawn in cash, allegedly on the governor’s instruction as security votes and other “curious” overheads. The Assembly members are expected to account for N375million. The anti-graft agency said some of the cash withdrawals were made in bits of N10million over the counter. The EFCC found it “ridiculous” that 500million was cashed in one day. Besides the governor, more than 30 suspects are being investigated. They include 21 members of the House, three permanent secretaries, four cashiers, a contractor, directors of Finance, some accountants, and bank managers. The EFCC believes that most of the funds were diverted, with, according to the agency, the governor directing permanent secretaries to tear the disbursement lists. These highlights were released at a session in Abuja by top officials of the EFCC. On the alleged diversion of N1,916,635,206, the fact-sheet said: “On the 31st of January, 2018, an intelligence was received that some officials of Benue State have diverted about N8billion. Based on the intelligence, the EFCC commenced investigation. It was discovered that between June 30, 2015 and March 2018, cash was withdrawn from the Government House accounts and diverted. “Two accounts actually belong to Government House. “These accounts received about N1, 916, 635, 206 between June 30, 2015 and March 2018. The huge sum was withdrawn by some cashiers, namely Emmanuel Aorga; Patrick Aba; and Ochoga Peter. “From bank details, Aorga withdrew N369, 728, 950; Ochoga cashed N704, 041,000 and Patrick Aba N130, 199, 386. “In most cases, they were issued N10m cheques in order to withdraw the money in bits. “For the Government House, the Permanent Secretary, Mr. Gabriel Iangba, who was interrogated, claimed that these are funds for security, governor’s travels, protocol services and security votes, among others. "On the N19,468,951,590 taken from the Bureau for Internal Affairs and Special Services, the EFCC’s fact sheet indicated that the money was withdrawn from the Bureau’s two accounts. “The N19.4billion was withdrawn between June 30, 2015 and March 2018. These funds were cashed in similar manner like that of the Government House Accounts. The withdrawal was effected by a cashier in bits of N10million. In a day, the same man withdrew N500million in a N10million per transaction model. “During interrogation, the Permanent Secretary for Bureau for Internal Affairs and Special Services, Boniface Nyaakor, claimed that they normally gave six security outfits some of the cash. When asked to give details, he said while the highest remittance of N10million will go to one of the outfits, the rest will get N5million each. “He said memos were usually raised and the governor was always approving. He said once the funds were cashed, he will list out how the funds will be disbursed. After the disbursement, he will bring back the paper to the governor and Ortom will ask him to tear the distribution list. “We discovered that once the monthly allocation hits these accounts, the withdrawal of all the funds is a maximum of two days. “It should be noted that all the cashiers were invited with their supervising accountants. They confessed that once the money was cashed either in Government House or at the Bureau, they have a place they used to deposit it and the affected permanent secretaries will take over disbursement. Asked if a governor can be questioned on security votes, a top EFCC official said: “The governor has to show records of how security funds are spent. Concerning the N1,328,000,000, the EFCC gave details of how it came about the discovery. “A petition was received from a Commissioner in the Public Complaints Commission (PCC), ex-Commissioner of Police Abubakar Tsav on June 10, 2016 alleging that pensioners and workers were going through hardship due to non-payment of salaries and pensions. The petition by Tsav was against Governor Ortom and a former Chairman of Gwer West Local Government Area, Mr. Titus Zam. “The petitioner alleged that the governor withdrew N 929, 903, 967 account of the Bureau of Local Government and Chieftaincy Affairs. “Based on this petition, an investigation was carried out and it was discovered about N1, 328,000, 000(N1.328b) cash was withdrawn from the account between October 2015 and June 2016. “In the course of further investigation, it was one John J. Bako, who is said to be a member of security outfits in the state withdrew N28million from the account while N1.3billion was withdrawn in cash by Andoor Festus, who is said to be a cashier of the Bureau. The money was withdrawn in cash in bits of N50m, N100m, N120m, and N260m. “A letter of invitation was sent to the State Government. The first letter was sent on July 18, 2016 and reminders were sent but no reply. The last letter was sent to the Permanent Secretary, Bureau of Local Government and Chieftaincy Affairs on July 9, 2018 but Bako and Andoor are yet to come. In a follow up by The Nation bordering on alleged apology to Ortom by Tsav recently, a top official said: “The petition bordered on a case against the state. The money he claimed was being diverted was not his money but it is public funds. As part of the sleaze in Benue State, the EFCC also uncovered how the state government allegedly paid N80million into the account of a Boko Haram suspect Aliyu Yaminu, who is nicknamed Tershaku. Tershaku, who was arrested by the Nigerian Army in April, has since been in custody. In the same vein, the EFCC confirmed that about 21 members of the Benue State House of Assembly and a contractor have a case to answer over N417million contract for the purchase of 30 Prado SUV for lawmakers in the state. Some of the lawmakers were said to have allegedly conspired with the contractor, Alh. Ahmed Baba, who owns Mia Three Nigeria Limited. “It is a case of diversion of contract funds. A N417million contract was awarded to Mia Three Nigeria Limited (owned by Alh. Ahmed Baba) by the Benue State Government for the supply of 30 Prado SUV for members of the Benue State House of Assembly for oversight functions. “With less Tax and Value Added Tax (VAT), the worth of the contract amounted to N375million. The cost of each car was around N12.9million. But out of the N375million, about N275million was diverted by the contractor in connivance with members of the Benue State House of Assembly. “Eight members of the Assembly took delivery of the Prado SUV, one did not benefit because he hijacked a vehicle from the convoy of the Deputy Speaker but 21 others only collected cash from the contractor instead of vehicles. “The EFCC team has so far recovered N244million from the affected members of the Benue State House of Assembly. Four members refused to pay back the full value of the SUV after remitting. They reluctantly refunded N1million each to EFCC after much pressure. “These four members and outstanding sums are as follows: Addingi Mguman (N9million); Kester Kyaenge (N9million); Terkaa Ucha (N4million) and Terzeer Adzuu (N9million). “We have been interacting with the lawmakers since 2016; it is not as if we have just started the investigation. Some of them, including the Deputy Speaker, came to honour EFCC’s invitation last Thursday. It was while we were interacting with the Deputy Speaker that he was impeached. “They were asked to report on Monday (yesterday) except a member that applied to perform this year’s Hajj. “These lawmakers and the contractor have a case to answer because the Prado SUVs were not meant for leisure.